A review of Exxon's knowledge and subsequent denial of climate change. In November 2015, the New York state attorney general announced an investigation into Exxon for disclosure violations. Presidential candidates Hillary Clinton and Bernie Sanders called for a federal investigation into the company. And more than 350,000 Americans joined that call, petitioning the Department of Justice to investigate. The news has changed the game on fossil fuel companies and their role in climate denial. But Exxon’s track record on climate science denial and climate double talk has been growing for some time. Check the timeline below for a rundown. Along the way, note how global atmospheric carbon levels continue to rise past 350 parts per million (ppm), the level scientists say is safe for human civilization as we know it, while Exxon’s profits (in nominal dollars) continue to rise. Roger Cohen, director of the Theoretical and Mathematical Sciences Laboratory at Exxon, writes a memo summarizing Exxon’s climate modeling research. The memo states: “The consensus is that a doubling of atmospheric CO2 from its pre-industrial revolution value would result in an average global temperature rise of (3.0 ± 1.5)°C [equal to 5.4 ± 1.7°F]…There is unanimous agreement in the scientific community that a temperature increase of this magnitude would bring about significant changes in the earth’s climate, including rainfall distribution and alterations in the biosphere.” Cohen would later become a lead climate science denier at an Exxon-funded front group. Exxon cuts funding for climate research from $900,000 per year to $150,000. Exxon’s total research budget at the time was more than $600 million. The United Nations Intergovernmental Panel on Climate Change (IPCC) is formed. Shell announces that it will redesign one of its natural gas platforms, raising it a meter or two to account for sea level rises resulting from climate change. Dr. Brian Flannery, “representing the International Petroleum Industries’ Environmental Conservation Association, but on the payroll of Exxon,” argues strongly against wording in the IPCC’s first report, which states that global carbon emissions must be reduced 60 to 80 percent. Flannery argues that too much “scientific uncertainty” exists to recommend such reductions. IPCC scientists agree that enough certainty exists to justify the reductions, and the report moves forward. (The Carbon War by Jeremy Leggett, cited in 2002 Greenpeace report, “Denial and Deception”). Lee Raymond becomes CEO of Exxon. Mobil engineers, as a part of a project jointly owned by Mobil, Shell and a subsidiary of Exxon, note that “An estimated rise in water level, due to global warming, of 0.5 meters may be assumed” in their planning for exploration and production facilities along the coast of Nova Scotia. Exxon CEO Lee Raymond tells the 15th World Petroleum Congress in Beijing that the world’s climate isn’t changing, and that even if it was, fossil fuels would play no part. The New York Times, with documents leaked to the National Environmental Trust, reveals that the American Petroleum Institute is organizing a $5-million plan to challenge the science of climate change. Representatives of Exxon and Chevron are listed as participating in the plan. One line item of the plan is to “Identify, recruit and train a team of five independent scientists to participate in media outreach. 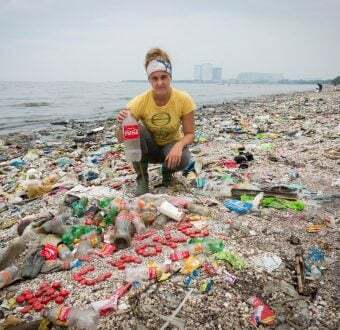 These will be individuals who do not have a long history of visibility and/or participation in the climate change debate. Rather, this team will consist of new faces who will add their voices to those recognized scientists who are already vocal” (p. 6 of Greenpeace report appendix). ExxonMobil-funded think tank, the George C. Marshall Institute, co-publishes the “Oregon petition,” a petition challenging the consensus around climate change. The petition comes with a “research paper” made in the style of the Proceedings of the National Academy of Sciences, confusing some legitimate scientists into signing the petition. Other petition signatories, suspiciously, include fictional characters from the TV show M.A.S.H. and Spice Girl “Dr.” Geri Halliwell. In its proxy statement to shareholders, Exxon reports that shareholders have requested the creation of an outside directors committee to independently review and publish “a full report about the impact on climate change on our company’s present policies and practices…[including] anticipated liabilities our company may incur from its possible contribution to the problem…” Exxon’s board recommends against the proposal, citing, among other things, that the science around climate change remains uncertain. The Bush White House receives a letter from Exxon asking if the administration can oust climate scientist Robert Watson from his position as chair of the Intergovernmental Panel on Climate Change. Under Watson’s chairmanship, the IPCC had released a number of reports linking climate change to human activity. Bush administration announces withdrawal from the Kyoto Protocol. The UK Stop Esso campaign is launched. 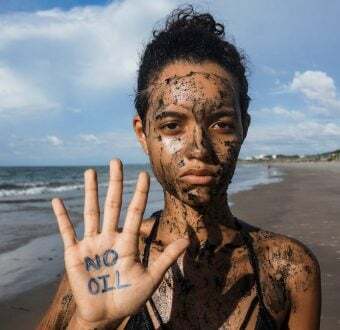 The campaign is aimed at Exxon’s subsidy Esso, and is a coalition effort that includes Greenpeace UK, People and Planet, and Friends of the Earth. Greenpeace USA launches the Stop ExxonMobil campaign. Over the following months, activist actions against Exxon stations spread around the globe. The Greenpeace Global Warming Crimes Unit converges on ExxonMobil’s compound in Irving, Texas, to charge the oil giant with crimes against the climate. Greenpeace USA develops www.exxonsecrets.org, a website showing the links between Exxon money and some of the loudest climate deniers being quoted in the media. The website includes dossiers and fact sheets for each organization and person with a description, history, staff bios, quotes, deeds and hidden affiliations. 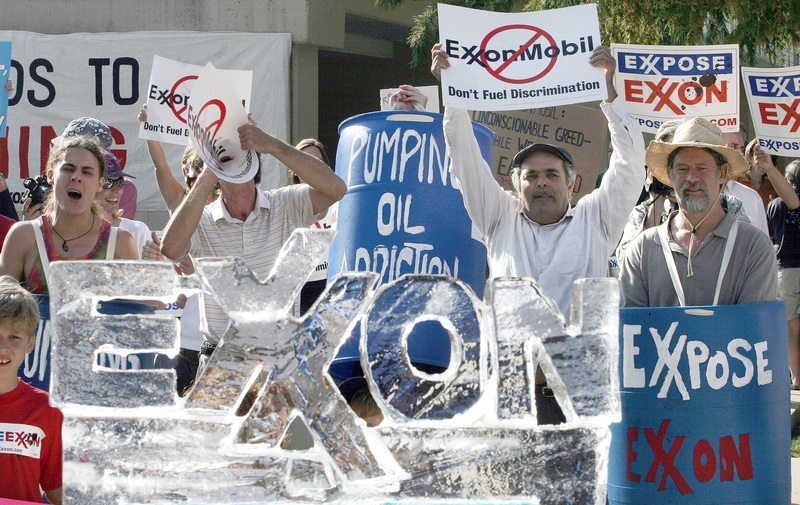 Environmental and public interest groups launch the “Exxpose Exxon” campaign. Rex Tillerson becomes Chief Executive Officer of Exxon. The Royal Society, Britain’s preeminent scientific organization, writes a letter to Exxon, inquiring into the company’s promotion of uncertainty around climate change science. The letter comes after the Royal Society meets with Exxon to discuss its funding of climate-denying groups. Exxonpromised at a previous meeting with the Royal Society to stop the funding, but had not followed up after the meeting to explain how it would fulfill the pledge. Later that month, it is reported that Exxon has stopped funding the Competitive Enterprise Institute, a think tank that has actively undermined action on climate change. Exxon’s 2007 Corporate Citizenship Report announces that the company will “discontinue contributions to several public policy research groups whose position on climate change could divert attention from the important discussion on how the world will secure the energy required for economic growth in an environmentally responsible manner.” In other words, it will stop funding climate-denying groups. Funding is cut to some climate-denying groups. Funding to others continues. Greenpeace USA and other citizen groups launch the “Strike Out Exxon” campaign, aimed at stopping the company’s advertisements at Nationals Stadium in Washington. The American Legislative Exchange Council (ALEC) pushes the “Environmental Literacy Improvement Act” in Oklahoma, Colorado and Arizona. The model bill mandates teaching the “weaknesses” of the “global warming… theory.” ALEC received consistent funding from Exxon since 1998, and continues to give to ALEC. Analysis of ExxonMobil Worldwide Contributions and Community Investments reports and ExxonMobil Foundation 990 tax forms reveals that Exxon continues to fund climate denier groups. Between 1998-2014, Exxon gave over $30 million to such groups (Source: Greenpeace and Union of Concerned Scientists). Since 2007, ExxonMobil has also donated $1.87 million to Republicans in Congress who deny climate change. Google’s executive chairman Eric Schmidt announces that the company would not renew its membership to the American Legislative Exchange Council because ALEC is “literally lying” about the fact of climate change. As far as is known, Exxon remains a member of ALEC, serving on ALEC’s Private Enterprise Advisory Council as of August 2015. Research by Greenpeace exposes Willie Soon as having failed to disclose that Exxon and other fossil fuel interests funded his research. Soon had served as one of the few climate deniers with a science background referenced by climate-denying politicians. The news further debunks Exxon’s claim that the company had stopped funding climate deniers in 2007, as Exxon provided more than $300,000 in funding to Soon between 2005 and 2010. InsideClimate News publishes the first exposé on Exxon’s knowledge of climate change risks and how it responded. The article describes how management at Exxon learned about the potential risk of climate change as early as 1977 and invested in climate change research. The Los Angeles Times and Columbia University’s Graduate School of Journalism publish a story about Exxon’s knowledge of climate threats to the Arctic, including models to anticipate impacts on Arctic operations that Exxon executives such as Lee Raymond would publicly dismiss. U.S. Representatives Ted Lieu and Mark DeSaulnier request that the U.S. Department of Justice launch an investigation into whether Exxon violated the Racketeer Influenced and Corrupt Organizations Act (RICO) as well as laws on consumer protection, truth in advertising, public health, and shareholder protection. New York Attorney General Eric Schneiderman opens an investigation into Exxon over whether the company has lied about what it knew about climate change. The AG issues a subpoena to Exxon demanding in-house documents. Exxon Vice President for Public and Government Affairs Kenneth P. Cohen sends a letter to Columbia University, accusing members of the Graduate School of Journalism of violating the school’s ethics policies regarding the recent articles regarding Exxon’s climate change-related research going back to the 1970s. The Dean of the Columbia Graduate School of Journalism, Steve Coll, issues a response defending the articles. A study in the Proceedings of the National Academy of Sciences finds that organizations that received funding from corporations like Exxon were more likely to argue against climate change science than organizations that did not receive such funding. Another study in Nature Climate Change finds that climate-denying organizations funded by Exxon and the Koch brothers are the most successful at inserting climate denialism into media stories. The U.S. Department of Justice refers the case of Exxon’s advocacy around climate change to the FBI. The Los Angeles Times reports that California’s Attorney General is investigating Exxon over whether the company committed securities fraud or violated environmental laws by lying about what it knew about climate change. A coalition of 17 Attorneys General and AG officials announces their support for President Obama’s Clean Power Plan. As part of the event, the AGs of Massachusetts and the U.S. Virgin Islands announce that they are investigating Exxon’s actions regarding climate change. Top officials from Vermont, Maryland, Virginia and Connecticut say fossil fuel companies would be held accountable for illegal activities around climate change, although they do not announce investigations. 13 Representatives sitting on the House Committee on Science, Space, and Technology Committee send letters to 17 state Attorneys General and 8 non-governmental organizations, including Greenpeace. The letters accuse the agencies and organizations of tampering with companies’, organizations’ and individuals’ rights to free speech. Greenpeace USA Executive Director Annie Leonard responds that “America’s least-respected politicians have now courageously stepped up to defend one of America’s most-hated corporations from scrutiny.” Data from Oil Change International shows that the 13 Representatives who sent the letter have received $2,848,418 in campaign contributions from coal, oil and gas companies since 1999. Exxon holds its annual shareholders meeting in Dallas. The board confronts 14 proposed resolutions from shareholders, 10 of which are climate-related. All climate change resolutions are voted down. However, a resolution requiring Exxon to report on the impacts to its business from climate policy receives a substantial 38% vote of support, and a separate resolution passes allowing shareholders to vote in a portion of Exxon’s board of directors. This presents the possibility of getting a climate expert on Exxon’s board. Nineteen members of California’s Congressional delegation send a letter of support to California Attorney General Kamala Harris, encouraging her investigation into Exxon despite pressure from the House Committee on Science, Space, and Technology Committee to stop. The Attorney General of the U.S. Virgin Islands agrees to withdraw his subpoena of Exxon, after Exxon sues the U.S. territory for what the company claims are violations of First and Fourth Amendment rights. The agreement does not prevent the U.S. Virgin Islands from subpoenaing Exxon in the future. Exxon had also sued the Massachusetts Attorney General’s office based on similar arguments, but Massachusetts continues to fight the lawsuit. Chairman of the House Committee on Science, Space, and Technology, Congressman Lamar Smith (R-TX), implies he will subpoena the 17 Attorneys General and 8 NGOs if they do not reply to the Committee’s earlier request for their communication records. Greenpeace and 350.org respond by demanding that Congressman Smith and the involved Committee members reveal their connections to the fossil fuel industry, which has given Smith and the other members $2,848,418 in campaign contributions since 1999. Congressman Smith subpoenas the offices of the New York and Massachusetts AGs and 8 NGOs, including Greenpeace, with a deadline to respond by July 27. Attorneys General Schneiderman and Healey, as well as Greenpeace and other NGOs, refuse to respond to the subpoena. “The American people know this Congressional subpoena is Rep. Smith’s signature move to turn attention away from the real issue at stake, which is the investigations into Exxon’s climate denial,” says Greenpeace Executive director Annie Leonard. The Wall Street Journal reports that the Securities and Exchange Commission (SEC) is investigating whether Exxon failed to publicly report the potential impact of climate regulations on its future business–the type of investigation also being conducted by the New York Attorney General. The Wall Street Journal reports that the SEC is also investigating whether Exxon failed to “de-book” some of its oil and gas reserves in the face of low oil prices–in other words, that Exxon has been claiming valuable assets that it does not actually have, given the poor state of the oil and gas industry.